Each card in a tarot deck has its own special meaning and symbolism behind it. It is partially through the symbolic meanings of these cards that help show what lies in the future of the person who is having their cards read, and “The Fool” is no different. The Fool is card number zero. Some people place it at the beginning of the Major Arcana and some like to place it at the end. It is the number zero card because foolishness is everywhere in life, so there is no need to add another number to it. The fool is everywhere and inside of everyone. Potential also lies within everyone, at least in some amount, which is why unlimited potential is one of the most popular meanings for this card. The Fool is a basic tarot trump card. It has two sets of divinatory meanings: one set for the upright meanings, and one set when the meanings are reversed. The upright meanings have to do will silliness, drunkenness, insanity, mania, and stupidity. The reversed meanings have to do with ignorance, boredom, vanity, negligence, and detachment. When used to find the answers to general questions or to predict the future in no particular area of life, the fool can be used to show that whoever is getting their cards read is about to face a new beginning. This new beginning could be wonderful or challenging. This could be something as small as getting a new hobby or as large a change as getting a new job. In most cases, the fool predicts a positive change. When The Fool card shows up when asking about love, this can suggest the whoever is getting their cards read is not ready for anything serious. They are still carefree and they are not ready to settle down. The person who gets this card when asking about love wants a fun relationship, but getting this card does not suggest that they should always focus on fun instead of commitment. Lust is good for a little while, but love will prevail even when things stop being fun. Seeing The Fool card when asking about work can suggest that a person feels as though others do not understand their creative ideas. However, this card can encourage them to keep working through this issue. They are filled with potential, even if others can’t always see it. If the situation does not pass, then this card may also suggest that they should work somewhere where their ideas will be appreciated. 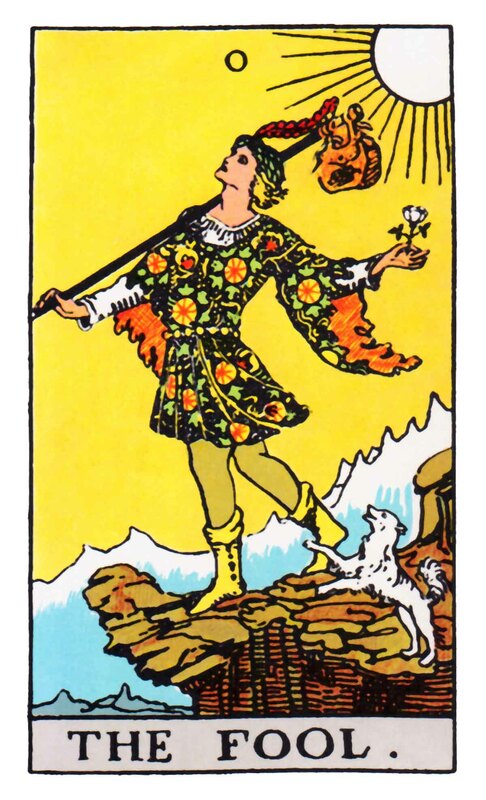 Energy, potential, and of course, foolishness, are some of the many things that the fool card symbolizes. These simple meanings can answer the greatest questions; all a person needs to do is ask.